Other than holding the feat of being the 5th and the oldest person who visited the moon, Alan Shepard also is the first man to play a round of golf there. 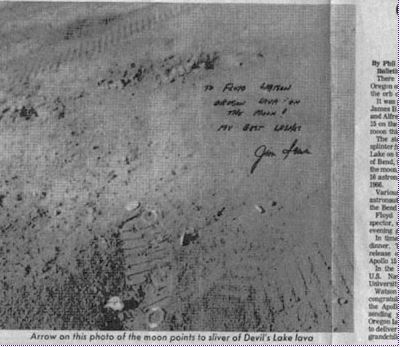 In his own words, the ball went “miles and miles” when he hit it using a Wilson-branded six-iron club head attached to a lunar sample scoop handle. 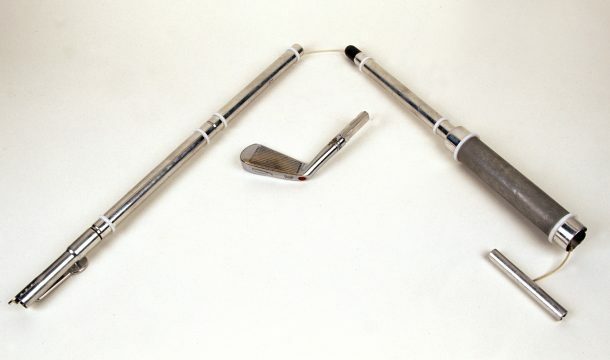 Shepard made two drives, and although he brought the club back to Earth, which is now currently residing in the United States Golf Association Museum in New Jersey, but he couldn’t retrieve the balls due to the sheer distance travelled by them. Some would say the space is a canvas itself, with nature creating the most magnificent and meaningful pieces of art on it. But on a more humanly perceivable scale, there is some art in the space other than on our planet. One example is of the Fallen Astronaut, which is a 3.3-inch aluminium model created by Belgian artist Paul Van Hoeydonck. 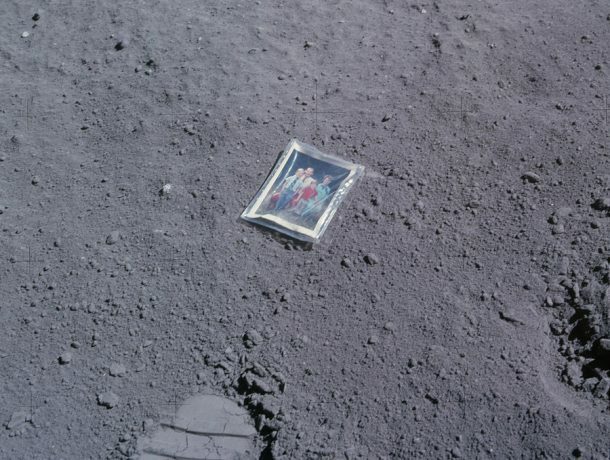 It was placed on the surface by the crew of the Apollo 15, intended to honor and commemorate the brave and committed astronauts and scientists who died while pursuing space exploration. It has the distinction of being the first sculpture on the moon, but Van Hoeydonck wasn’t too satisfied about it, saying that he intended it to be placed upright so that it can represent all humanity. 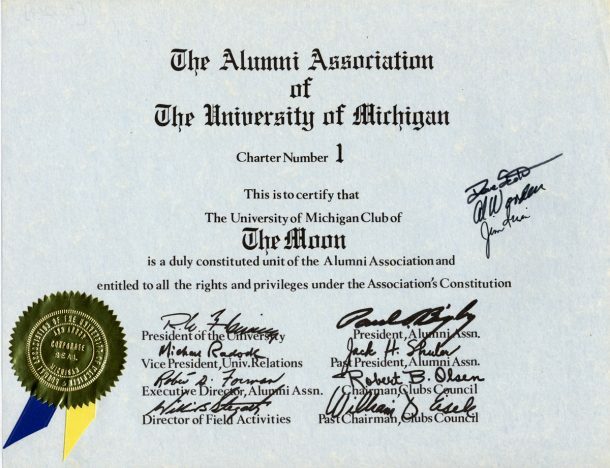 So after placing the piece of Oregon Lava and the art sculpture called “The Fallen Astronaut”, the Apollo 15 crew (David Scott, James Irwin, and Alfred Worden in the Command Module) still had enough time to lay the foundation of the first space-based chapter of their university’s alumni association. 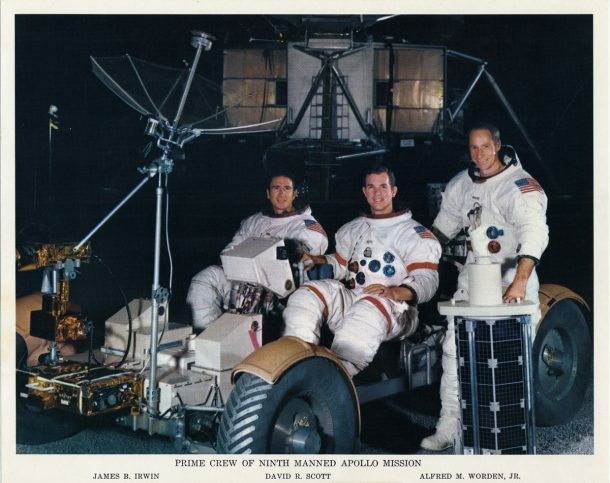 It is unlikely that after 44 years this picture will still be present on the moon considering all the harsh sunlight and extreme temperatures, but the gesture itself was quite remarkable. When Apollo 12 visited the Moon in late 1969, they took a ceramic plate with them that contained artwork by six prominent artists. The ceramic wafer was titled “Moon Museum”, and it had artistry by the likes of Robert Rauschenberg, David Novros, John Chamberlain, Claes Oldenburg, Forrest Myers, and Andy Warhol. The wafer was unofficially attached to the leg of the landing module, and since the module was left behind when the return flight commenced, the artistic piece should still be up there. When Neil Armstrong and Buzz Aldrin first stepped on the moon, their own journey and testimonials weren’t the only things that made history. 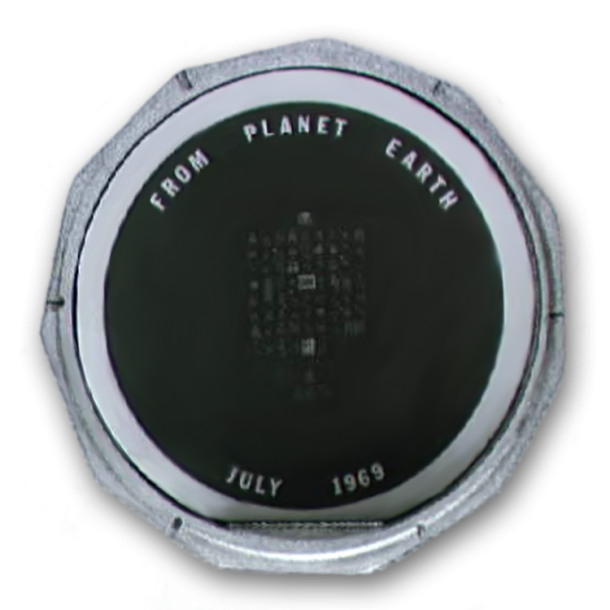 They also left behind a silicon disk which was 1.5 inches across and contained goodwill messages from prominent figures by leaders ofy 75 countries, including Pope Paul VI, Indira Gandhi, and Queen Elizabeth II as well as statements from Dwight Eisenhower, John F. Kennedy, Lyndon Johnson, and Richard Nixon. The silicon disc was designed to remain intact for thousands of years and is a great symbol of universal solidarity towards the cause of space travel. 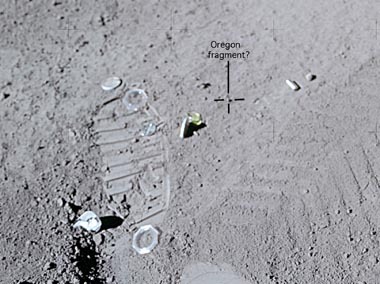 Have any more cool things you know which are present on the moon? Share them in the comments’ section below!